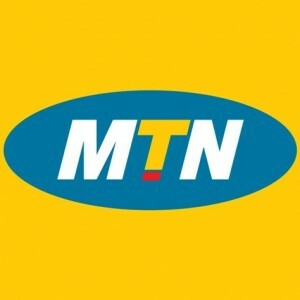 Nigerian Gateway: How to enjoy MTN Ipulse Free Browsing. How to enjoy MTN Ipulse Free Browsing. THE LATEST FREE BROWSING CHEAT CONFIGURATION FOR MTN,GLO, ETISALAT, AIRTEL,FREE BROWSING CHEATS,TRICKS/CODES FOR LAPTOPS/ PC, GLO, ETISALAT, AIRTEL, MTN FREE BROWSING CHEAT/TWEAKS,FREE SERVERS IP CHEATS,FREE IPs AND PORTS, SMART PHONES, ANDROID PHONES, USB MODEMS, FREE PC DOWNLOAD TWEAKS,FREE INTERNET GATEWAYS, UCWEB,SNAPTU,BOLT, EBUDDY, OPERAMINI HANDLERS, NIMBUZZ,2GO CHEATS/FREE MOBILE DOWNLOADS,BLACKBERRY PHONE CHEAT CONFIGURATION,INDIA WEB PROXY CHEATS FOR MTN,GLO, AIRTEL AND ETISALAT. For those of you that might not be having enough to subscribe to the raging high cost of internet subscription in nigeria using MTN. You can no longer be excommunicated from the divide. But it requires a little scarifies. Don't Panic, its not a big deal, its something u can afford. To enjoy this, Starting from 1:00AM - 5:00AM surf the internet and download unlimited, either using your smartphones, Ipads, tablets and PC until your phone/PC battery got exhausted. It works on all applications on your Smartphone and PC . Be the first to know and share by subscribing to the post on free browsing cheats for MTN, GLO, AIRTEL and ETISALAT Networks. Drop your comments and contributions bellow.